for $1,625,000 with 1 bedroom and 2 full baths. This condo was built in 1900. 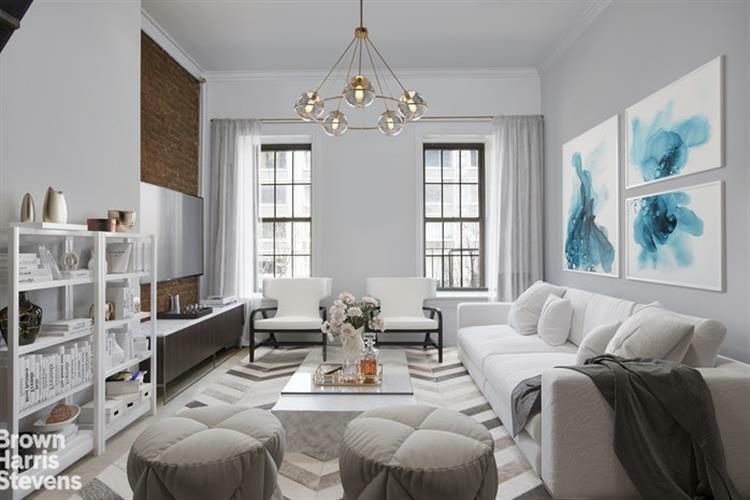 212 East 70th Street is one of the few Brownstone Condo in the area, one block east from the historic upper east side district. The duplex loft Penthouse B has a Tenant in place until January 2021. The charming duplex, located on the building's top floor, maintains its original prewar details, 12 foot ceiling, expose brick wall and six-over-six double hung tall windows. The penthouse's entering floor is adorned with a large living space, a modern open kitchen, a full Carrara marble bath and a hidden sleeping and storage loft.A unique custom made titanium staircase leads to the duplex's top floor. On the top floor, the glorious bedroom loft is flashed with light throughout the day. The large skylines and the entire wall of windows opened to the generous wood deck terrace, make the top floor unique with great city views. The top floor is also adorned with a second full marble bath and washer and dryer. Elegant touches are throughout the apartment, solid oak wood floor, black granite with natural crashed jade counter top, glass floor detail, and a custom made staircase with titanium structure and black granite steps. Central AC and central heating, in additional to the heating provided by the building.The duplex consists approximately 950 SF interior and approximately 300 SF terrace deck. Low monthly common charge gives great investor's return. 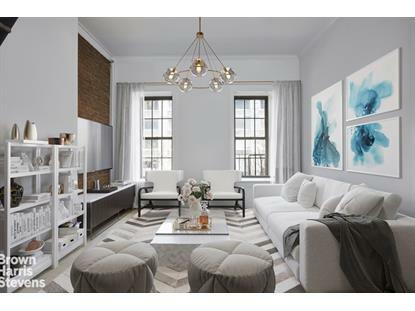 The walk up prewar brownstone allowed unlimited sublease and Pied-a-terre. The building is closed to all transportations, 6 train, uptown and downtown buses and 72nd Street cross bus.